W. Patrick Grimm was born in 1949 in Fullerton, California and, has resided in San Diego County since 1976. Mr. Grimm received a Bachelor of Arts degree in Business Administration from Loyola Marymount University in 1972 and, after graduation and through 1976, he was a B-52 combat-qualified pilot in the United States Air Force. Following his Air Force service he enrolled in the University of San Diego School of Law, where he earned a Juris Doctor in 1979. 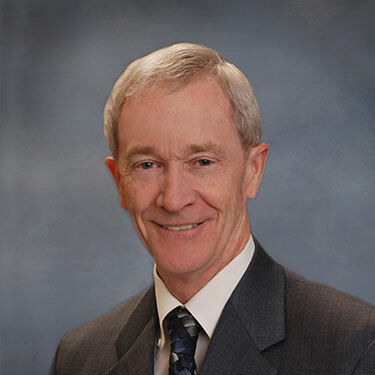 Mr. Grimm has been with the firm since 1980 and became a partner in 1986. He is admitted to practice before all the courts of the State of California, and all of the United States District Courts in California. Mr. Grimm has been a mentor with the Big Brothers Big Sisters Program since 2005, and has also volunteered as a coach for elementary school basketball programs.